The year was 1923. It was another five years before penicillin was discovered. Another near-death experience involved falling asleep behind the wheel of a car while driving in Arizona. Luck, Landsberg says, was in charge of that situation. 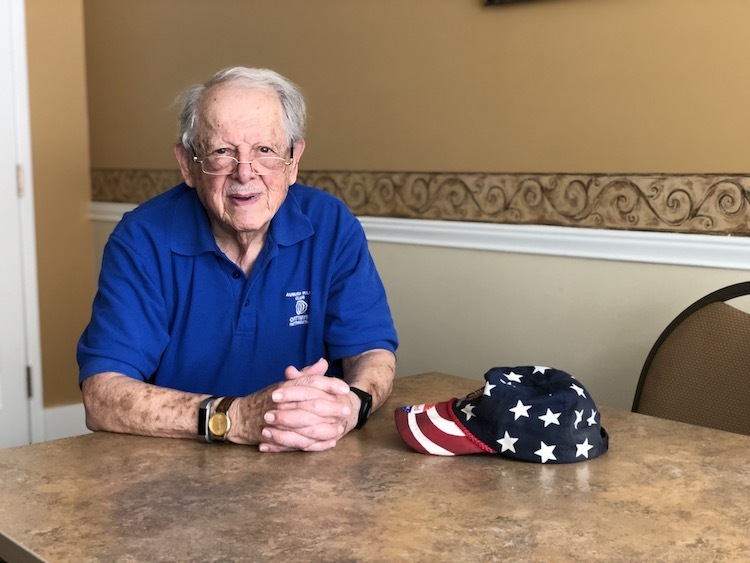 But his experience aboard USS “The Blower”, a U.S. Navy submarine commissioned in the Pacific during WWII, is what Landsberg, a resident of Auburn Hills, speaks about with enthusiasm. En route to Pearl Harbor, leapfrogging with two other crafts, the submarine’s braking system for the diesel engines failed to operate, creating a vacuum inside the sub. A quick-thinking motor machinist on board opened the engine air induction, flooding the sub with water enough to stop the engines. “When the reverse current relay kicked down, it could have killed all 108 aboard without the motor mach taking charge,” Landsberg remembers. Paul Landsberg served on USS 325 "The Blower." There were many more adventures for Landsberg aboard The Blower, including operations near the islands of the Philippines, Bali, Vietnam, Australia, and Japan. He recalls dates with remarkable clarity, but chides himself with “oh, c’mon, Paul!” when he struggles to recall the names of places he encountered, even though these experiences took place more than 70 years ago. For the most part, however, Landsberg takes his considerable history in his stride, focusing instead on the his present experiences with his family, his responsibilities as a volunteer with Meals on Wheels in the Auburn Hills Community Center, and his woodworking hobby. The time Landsberg served during WWII were part of just few years he has lived outside of Michigan. In fact, a good portion of his life was spent right in Oakland County. Between graduating from high school and enlisting in the Navy, Landsberg lived in Huntington Woods, commuting with his younger sister to work in their father’s womenswear business in Pontiac. In 1946, when Landsberg was discharged from the Navy, he returned home to work for architects and mechanical contractors, bouncing from the firms of Smith, Hinchman & Grylls and Giffels Webster, both located in the ten-storey Marquette Building on West Congress Street in Detroit. Looking for a change, Landsberg found an opportunity to learn estimating in commercial heating, ventilation and air conditioning, and extended his expertise to design and construction of HVAC systems. For a while during his career, Landsberg made wooden forms used to create the dies to cast the tail end and fins for the iconic 1956 Cadillac. Since then, he’s loved woodworking and says it’s an avocation that keeps him vibrant and active. Landsberg says Oakland County has been good to him, and the City of Auburn Hills, where he has lived since the early 1980s, gave him the chance to serve on various committees where he felt he could create change. He credits former mayor Jim McDonald for offering him a seat on the Tax Increment Finance committee. He also sat on the library board, and as many as four Auburn Hills committees at once. 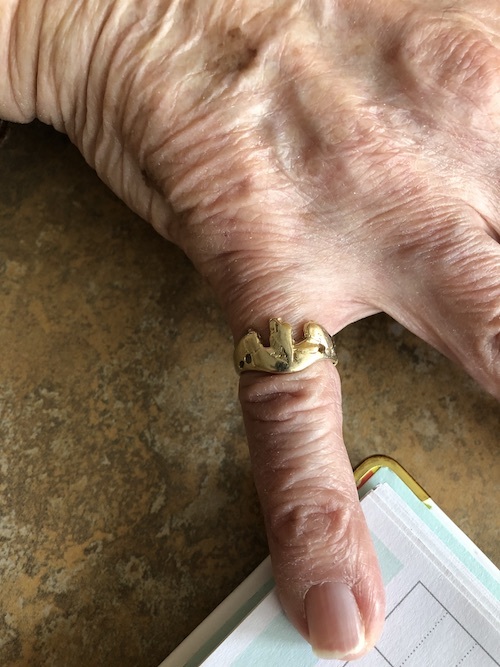 When he's working in the kitchen for Meals on Wheels at Auburn Hills Community Center, Paul Landsberg keeps track of time with his activity tracker. While his family history does boast some longevity, Landsberg takes nothing for granted. His father retired at 79, but, with no hobby to occupy him, died by the age of 83. Landsberg speaks fondly of his wife, Ida Ruth, 95, whom he met at his local shul and married in 1953. “We met in August, were engaged in October, and married in February. We were both looking at the age of 30, and wanted to get going,” he says. They had four children, including a set of twins by 1957. Landsberg and Ida Ruth have 19 grandchildren, and are expecting a 22nd great-grandchild at the end of November. Landsberg hopes his family will travel from California and Kentucky to celebrate Ida Ruth’s 96th birthday in December. 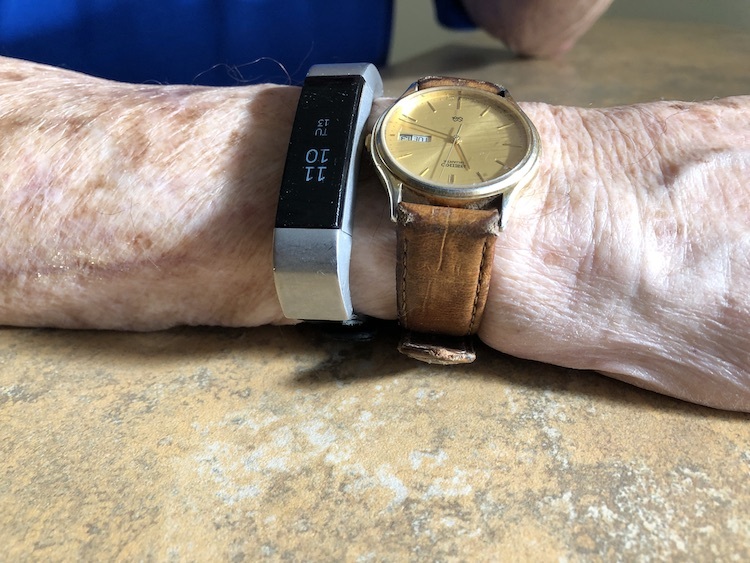 Between his two wrists, Landberg wears a Fit Bit-style personal activity monitor and a personal safety button as well as his watch, but he doesn’t need any of this to remind him to stay active, the Paul Landsberg secret to longevity. In recent years, Landsberg recognized he wasn’t getting out to meet people or assert himself, so he volunteered for Meals on Wheels, helping package up food to be delivered, often to people much younger than himself. Landsberg’s philosophy on aging well extends beyond remaining active. He credits a spirit of grace, too. “You have to forgive and forget the animosities that come up in your family and your friends. Learn to forget,” Landsberg says. Paul Landsberg has lived in Auburn Hills since the early 1980s.